Hovering over some of the links below, will give you a short description. This picture indicates saving money on your house expenses. Senior Discounts From Stores etc. 02-18 Getting a ride to doctors offices etc. 03-19 Moving companies change an extra $80.00 per hour if you move on a weekend. This is not a link. PACE organizations provide care and services in the home etc. Property Tax Exemption of 100% for Disabled Veterans or Surviving Spouses. Senior Pass for 2,000 federally managed recreation sites. TSA_Pre_✓is an expedited security screening program. Income: Households have to meet income tests unless all members are receiving TANF, SSI, or in some places general assistance. Most households must meet both the gross and net income tests, but a household with an elderly person or a person who is receiving certain types of disability payments only has to meet the net income test. Households, except those noted, that have income over the amounts listed below cannot get SNAP benefits. Check link for more information. Getting A Ride To Doctor Offices & Shopping etc. If you live in a different county (other than Ocean County) you will have call that county for information. The information listed below is for Ocean County, NJ ONLY. The most often requested services is transportation to medical appointments and local shopping. Cost is $3.00 with valid PAAD* ID card. All trip requests are to be handled by telephone by calling (732) 736-8989, then press “1” to speak with a Reservationist. Applicaton is not available online, they will have to mail it to you. Free government program known as the Home Affordable Refinance Plan (HARP) that could help millions of Americans….... if only they knew about it. By refinancing your home at a lower interest rate, you could save as much as $2,292 a year. The State of New Jersey offers hearing aid assistance for persons not otherwise qualified for Medicaid who meet the age/disability, income and residency requirements of the Pharmaceutical Assistance to the Aged and Disabled Program (PAAD). A person eligible for assistance under the Hearing Aid Assistance to the Aged & Disabled program (HAAAD) is entitled to receive up to $100.00 toward the purchase of a hearing aid. For further information, please contact HAAAD, Division of Senior Benefits and Utilization Management, NJ Department of Health & Senior Services, PO Box 715, Trenton, NJ 08625-0715, telephone, toll-free, 1-800-792-9745 or 609-588-7030. Are you tired of paying $18-22 dollars for 10 pack of hearing aid batteries ? ? ? Stop getting ripped off, go to a Dollar Store and get a 10 pack for one Dollar. New Jersey Citizen Action’s Oil Group (NJCAOG) is comprised of thousands of heating oil consumers who have joined together to negotiate a lower price with local dealers. After joining, members are assigned a supplier. They then call that supplier and make arrangement for fuel delivery but at the Oil Group's discounted price. Generally, the prices members pay are 10–30% less than average retail prices. The annual membership fee for persons aged 60 and older is $15. For more information call New Jersey Citizen Action, toll-free, at 1-800-464-8465, www.njcaoilgroup.com . CITGO/Citizens Energy Please Note: The CITGO Energy Oil Heat Program is no longer accepting new applications. For information on the status of this program, please call 1-877-JOE-4-OIL (1-877-563-4645). For information on other energy assistance and energy efficiency programs available in New Jersey contact the New Jersey Board of Public Utilities at 1-800-624-0241, www.bpu.state.nj.us/bpu/assistance/programs . Property taxes paid on principal residence. You are eligible for a $3,000 exemption on your Income Tax return if you are a military veteran who was honorably discharged or released under honorable circumstances from active duty in the Armed Forces of the United States on or any time before the last day of the tax year. Ei Lily Will give Insulin either free or at a discount if your family income is less than $48,000. Ei Lily requires you to call each time your prescription needs to be renewed. As of January 2017 a new requirement goes into effect, you must have a $1100 of out of pockets medicine bills. If you don't have the $1100 of medicine bills, then call them and ask them to review your case again & again. They seem to give in and allow you to get your insulin free. Other Insulin manufactures may offer similar programs. All Area Agencies on Aging fund legal assistance to provide access to the system of justice to residents 60 years of age and older who have a legal problem which falls within the priorities established for the program. Under the supervision of a lawyer, legal advice, assistance, and/or representation is provided in order to protect and secure the rights of older persons. Legal assistance is provided in priority areas, such as public entitlements, planning/protecting autonomy, health care/long term care, family/domestic, housing/utilities, individual rights and consumer issues. Preference for service is given to individuals with the greatest social and economic need. Community legal education which benefits a large number of clients is an important component of the legal program. For additional information contact the Area Agencies on Aging at 1-877-222-3737. For more information about the Patient Financial Aid program, contact your chapter. Patients who participate in the Patient Financial Aid program may also be eligible for the LLS Co-pay Assistance Program. Patient financial aid is limited to residents of the United States or its territories and US military personnel stationed abroad. This program is supported entirely by public contributions. Patient Aid funds are subject to availability Patient Aid funds are subject to availability. Print, complete and return the online application form in English or in Spanish to your local chapter. For more information on the Patient Financial Aid program, please contact your local chapter. Find your local chapter by calling (800) 955-4572 or by visiting www.LLS.org/chapterfind. You can go in person to the motor vehicle and show them your PADD card. You are single, and meet the annually established income requirements OR, you are married or a civil union couple, and your joint annual income meets the annually established income limits. The income eligibility limits are increased by the amount of the maximum Social Security benefit cost-of-living increase for the year. You received utility bills in your name, spouse's or civil union partner’s name, OR you are a tenant and do not receive utility bills, but the cost of your utilities is included in the rent. You will automatically receive a LIFELINE application if you are enrolled in: Pharmaceutical Assistance to the Aged and Disabled (PAAD); Medical Assistance to the Aged Continuation (MAAC); Medical Assistance Only (MAO); or any of the Special Medicaid-Type Programs. In addition, if you are receiving SSI benefits, your check issued by the Social Security Administration automatically includes a monthly amount which is equal to the annual LIFELINE benefit. This amount will help to pay for the increased cost of utilities. For more information, please contact LIFELINE, NJ Department of Health & Senior Services, PO Box 715, Trenton, NJ 08625-0715, telephone, toll-free, 1-800-792-9745 or your Area Agency on Aging at 1-877-222-3737. Lower Your Property Taxes- This applies to anyone, Senior or not !!! Did you know that it is very possible to lower your property taxes each year ??? The application MUST be filed before April 1 of the year you want a reduction. You could file and application yourself (not recommended) or you could use a lawyer that specializes in filing the application for you. Their fee is as follows: If he gets your taxes lowered by $800.00 a year, he gets a one time fee of half, $400.00. Your taxes will be stay lowered by $800.00 each and every year thereafter. If he doesn't get your taxes lowered, his fee is $0.00. This is a win win situation, you can't lose !!! We have used Michael many times for many properties, he has always gotten our taxes lowered. How Meals on Wheels works. We deliver hot, nutritious meals to our seniors’ homes Monday through Friday and for our most frail and vulnerable, weekends and holidays. All our menus are approved by a qualified nutritionist, and provide at least one-third of the daily dietary recommendation set by the U.S. Department of Agriculture. Nutrition education and counseling are also provided under this program. Please note: we do not provide meals for special diets. Help us serve the community. Though no donation is required, each participant is asked to make a small contribution of $2 per meal to help defray food and preparation costs. It costs over $10 to prepare and serve each meal. Every donation helps us ensure that no senior is ever denied because they can’t afford a contribution. To learn more about Meals on Wheels, please call us at 732-367-1401 or email info@csimow.org. When you have Medicare and can't afford a secondary insurance. To be eligible you must make less than $16,643. Does Medicaid cover ambulance services? Emergency Ambulance Services Medicaid covers Emergency Ambulance services when provided by providers licensed by the state. The patient must be transported in an appropriate vehicle that has been inspected and issued a permit by the state. Medical Transportation or Non-Emergency Ambulance Services Medicaid covers non-emergency ambulance services with a statement by a doctor that the service is required. Low-income beneficiaries can save close to $5,000 a year. Most seniors and individuals with disabilities on Medicare pay between $121.00 and $134.00 each month directly out of their Social Security check for their Part B premium. If your annual income in 2017 does not exceed $16,281 (if single) and $21,924 (if married), and your assets, not including your home and car, total no more than $7,390 for a single person or $11,090 for a couple, you can get the State of New Jersey to pay your Part B premium and save at least $1,300 each year on healthcare expenses. Lower income individuals may save even more. If you earn equal to or less than these limits, then you may qualify for assistance. 2017 for single, $1,025 per month. 2017 for Married couple, $1,374 per month. See chart for more variations. What equipment & supplies are included? Tired of figuring which pills to take and when ? ? ? CVS and other drug stores will prepackage all your pills in a separate bag for EACH morning, afternoon, or night requirements, that are despenced from a roll in the dispenser one dosage bag at a time. Each bag is clearly marked with the day, when to take the pills, and the names and dosage of the pills. This solves the possibility of taking the wrong pill, more than one, or missing a pill. NOTE: Multi-dose packaging is provided without additional fees. Drug costs may change when prescriptions are transferred to a new pharmacy or change from a 90-day prescription to a 30-day prescription. 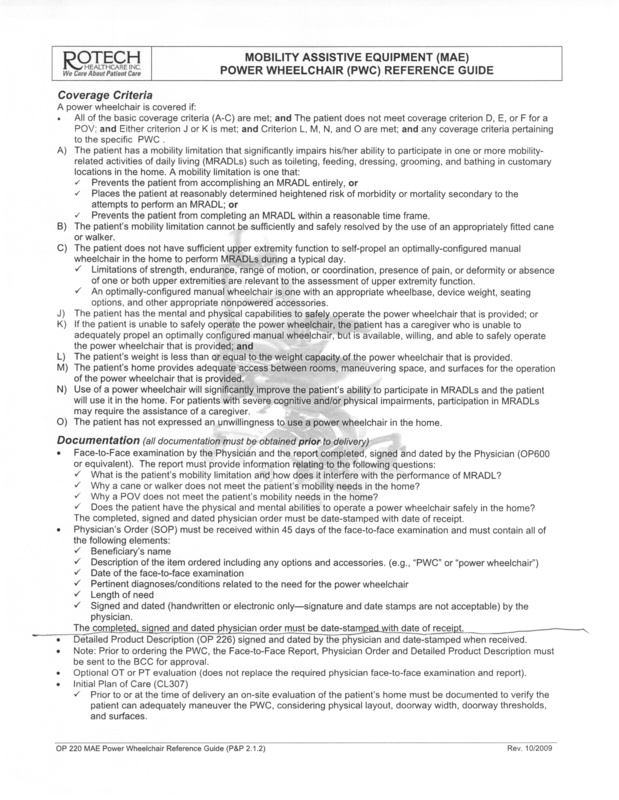 To align prescriptions on a 30-day cycle, 1 or more additional co-pays may be required by the patients plan. Patients can discuss this with their CVS pharmacy team. All of these methods will save interest and pay off your loan sooner. Every day you pay your mortgage earlier than the due date. Every extra amount you pay in addition to your mortgage payment. Tell the bank that your extra amount should go toward the principal, NOT the next months payment. Generally, Medicare doesn't cover eyeglasses or contact lenses. However, following cataract surgery that implants an intraocular lens, Medicare Part B (Medical Insurance) helps pay for corrective lenses (one pair of eyeglasses with standard frames or one set of contact lenses). Medicare covers the surgery if it’s done using traditional surgical techniques or using lasers. Note Medicare will only pay for contact lenses or eyeglasses provided by a supplier enrolled in Medicare, no matter who submits the claim (you or your supplier). (LIHEAP) and Universal Service Fund (USF) APPLICATION AGENCIES. If you have a PADD card, you are entitled to a discount (Usually $15) on your motor vehicle registration. You can send in your renewal registration with a copy of you PADD card and a check for the registration amount minus the the discount (Usually $15). The new law, effective August 1, 2013, requires that persons with a disability be recertified every 3 years in order obtain a new placard. You can download the Application/Renewal form here. If you are on Medicare you are not allowed by law to get this coverage. NJ FamilyCare covers: children, pregnant women, parents/caretaker relatives, and single adults/childless couples. Children 18 and under are eligible with higher incomes up to 355% FPL ($7,189/month for a family of four). Parents still need to renew the coverage each year. Parents/Caretaker Relatives with income up to 138% FPL ($2,795/month for a family of four) must have tax dependent children in their household in order to be eligible under this category. Dependent children in the household must be insured also. Adults without dependent children among ages 19-64 with incomes up to 138% FPL ($1,367/month for a single person and $1,843/month for a couple). Pregnant Women up to 205% FPL ($4,152/month for a family of four). For information on programs for people over 65, blind or permanently disabled click here. Financial eligibility for individuals seeking eligibility for NJ FamilyCare will be based on their Modified Adjusted Gross Income or MAGI. This means the income and household size will be determined by their latest federal tax return which when filed, can be electronically verified. The tax-based household size provides a simplified income calculation. MatchingDonors.com has become the most successful nonprofit organization that is improving those odds by finding living altruistic organ donors for patients needing transplants. The MatchingDonors.com website can get over 1.5 million hits in a month. Regardless of your need; Kidney, Pancreas, Liver, Lung Bone Marrow or Intestine we may be able to help. MatchingDonors.com may be able to help patients and donors with transplant related expenses not covered by insurance. There are currently 15,204 registered Potential Donors on MatchingDonors.com. There are also currently 3,991 registered Potential Donors willing to be incompatible donors in paired exchanges or chains. Pharmaceutical assistance to the aged and disabled (PAAD), lifeline and special benefit programs. If your income exceeds these limits, you can apply for the Senior Gold Prescription Discount Program, a New Jersey program which assists with the cost of prescription drugs. Call toll free 1-800-792-9745 for more information. Prescription drug benefits. PAAD and Senior Gold are state-funded prescription programs that help with the cost of prescribed medication (including insulin, insulin needles, and needles for injectable medicines used for the treatment of multiple sclerosis). If you are eligible forPAAD benefits, you would have a copayment of $5 for generic drugs or $7 for brand name drugs (copayment costs could be lower if a PAAD beneficiary’s Medicare Part D prescription drug plan charges less for a prescription). Medicare Part D (prescription coverage) premium savings. If you are eligible for PAAD benefits, you may be screened for a subsidy from the federal government that pays for Medicare Part D premiums, co-insurance, and other out-of-pocket costs. With this subsidy, a person also could qualify for a lower prescription drug copayment than the PAAD copayment. Medicare Part B (medical coverage) premium savings. If you are eligible for PAAD benefits, you may be screened for the Specified Low-Income Medicare Beneficiary (SLMB) and Specified Low-Income Medicare Beneficiary Qualified Individual (SLMB-QI-1) programs. Both SLMB and SLMB QI-1 are Medicare Savings Programs that pay for a person’s monthly Medicare Part B premium. Utility cost assistance. If you are eligible for PAAD benefits, you may also be eligible for benefits under the Lifeline utility assistance program, the Universal Service Fund (USF), and the Low-Income Home Energy Assistance Program (LIHEAP). Hearing aid assistance. If you are eligible for PAAD benefits, you may also be eligible for a $100 reimbursement for the purchase of a hearing aid. NOTE: Other programs require you to be approved for PADD first, before they will consider your application. In addition, if you are eligible for PAAD benefits, you may also be eligible for other benefits, such as reduced motor vehicle fees, discounted prices for spaying or neutering your cat or dog, and the property tax freeze. less than $32,585 joint income, if married. $5 per PAAD covered generic drug. $7 per PAAD covered brand name drug. PACE provides all the care and services covered by Medicare and Medicaid if authorized by your health care team. If your health care team decides you need care and services that Medicare and Medicaid doesn't cover, PACE may still cover them. If you join a PACE program, you'll get your Part D-covered drugs and all other necessary medication from the PACE program. You don't need to join a separate Medicare Prescription Drug Plan. If you do, you'll be disenrolled from your PACE health and prescription drug benefits. Transportation to the PACE center for activities or medical appointments, if medically necessary. You may also be able to get transportation to some medical appointments in the community. Palliative Care "Palliative care means patient and family-centered care that optimizes quality of life by anticipating, preventing, and treating suffering. Palliative care throughout the continuum of illness involves addressing physical, intellectual, emotional, social, and spiritual needs and to facilitate patient autonomy, access to information, and choice. (73 FR 32204, June 5, 2008)." The Social Security Administration and the Centers for Medicare & Medicaid Services are working together to help patients get extra help with prescription drug costs. To determine if you could be eligible for extra prescription drug help, the Social Security Administration will need to know your income and the value of your savings, investments and real estate (other than your home). Medicare Low Income Subsidy Worksheet. When care is needed, but the choice is to remain in the place you call home. Providing care before and after surgery, after a hospital or rehab stay, to manage chronic illness, or for senior support. There are some unreimbursed medical costs that you can deduct !!! This particular article and link is for Somerset County, but it seems to be available in other counties in NJ. Call or Google for your county is interested. Project Lifesaver, a nationally recognized program, is a joint effort between the Somerset County Sheriff’s Office and the Somerset County Office on Aging and Disability Services. Project Lifesaver is a unique bracelet identification-tracking program for individuals prone to wandering and who have dementia such as Alzheimer’s disease or developmental disorders such as Autism or Down Syndrome. The program does not serve as a “sitter” but rather provides extra support to the caregiver and family to keep the loved one in the community. Project Lifesaver uses a one ounce battery operated radio transmitter that emits an automatic tracking signal every second, 24 hours a day; each bracelet has a unique radio frequency. Certain permanently and totally disabled war veterans or the surviving spouses (widows/widowers) of such disabled war veterans and service persons are granted a full property tax exemption on their dwelling house and the lot on which it is situated. Claim Form D.V.S.S.E. (PDF 13K) must be filed with the municipal tax assessor. Property Tax Reimbursement (Freeze) Eligibility Requirements You may be eligible for a reimbursement of the difference between the amount of property taxes you paid for the base year (the year you first became eligible) and the amount paid for the year for which you are applying for a reimbursement if you met all the following requirements for the base year and for each succeeding year, up to and including the year for which you are claiming the reimbursement. Reimbursement Checks. The Division will mail reimbursement checks to eligible seniors and disabled residents who file their 2015 applications by the original June 1 deadline on July 15th. Checks for eligible applicants who file 2015 applications after June 1 will be processed and delivered as quickly as possible thereafter. Note: The amount appropriated in the State Budget for property tax relief programs affected reimbursement payments for 2015. Applicants are eligible for 2015 reimbursement payments if their income did not exceed $85,553 for 2014 and $70,000 for 2015, provided they met all the other requirements. Applicants whose income was over $70,000 but was $87,007 or less can establish their eligibility for future reimbursements by filing an application by the due date. This also ensures the Division will mail them applications for 2016. Real Property Tax Deduction for Senior Citizens, Disabled Persons or Surviving Spouses ($250). 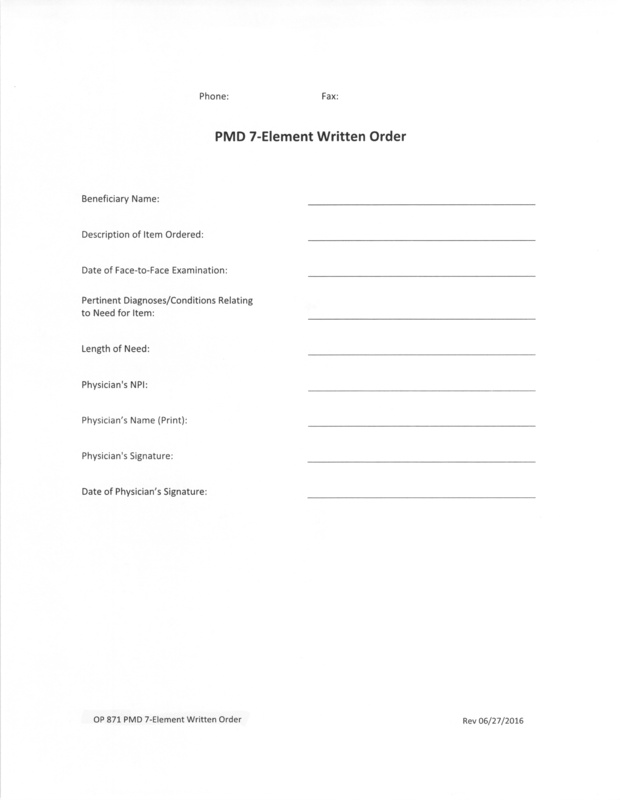 Claim Form PTD (PDF 15K) must be filed with your municipal tax assessor or tax collector. Many NJ senior citizens and people with disabilities require assistance in meeting their need for available and accessible transportation. To meet this need, monies from casino tax revenues are made available to the counties for local para-transit services. Services may include door-to-door and fixed route service and, local/user-fare subsidies. Individuals 60 and over can find out about the availability of services in his/her county from his/her Area Agency on Aging by calling 1-877-222-3737. People with disabilities and senior citizens age 62 and older are allowed round-the-clock discounts on bus fares and trains. The fares are no more than one-half the regular one-way fare on all intrastate bus and rail routes and most interstate bus and rail routes into adjacent states (e.g., New York, Pennsylvania. Excluded are those not accepting the NJ TRANSIT round trip excursion fare. The NJ TRANSIT ID Card, which is not transferable, must be used only by the person to whom it is issued, and must be kept in that person's possession during the entire ride. If the Card is lost or stolen, an application must be made for a replacement card. In order to be eligible for a reduced fare, elderly or people with disabilities must present either a valid Medicare card or a Reduced Fare Program identification card upon boarding a bus or purchasing a train ticket. The reduced fare card will be valid until age 65, at which time most individuals receive a Medicare card. At age 65, all persons not possessing a Medicare card must submit an application for a (new) Reduced Fare Program ID card whether or not they had one previously. Pros and cons can be read here. Under the law, grandparents have the right to visit with their grandchildren. Should this right be denied, a grandparent or any sibling of a child residing in this State may make application before the Superior Court, in accordance with the Rules of the Court, for an order for visitation. To make application to the court for visitation, the grandparent(s) should have the assistance of an attorney. For additional information, persons 60 or over should contact his/her Area Agency on Aging at 1-877-222-3737. For additional information, call (609) 292-4080 or email Customer Service. Assists in making safe and quality housing in the private rental market affordable to low, and very low-income households by reducing housing costs through direct rent subsidy payments to landlords. The program is funded by the U.S. Department of Housing and Urban Development. The Section 8 Housing Choice Voucher program is based on the premise that housing costs (rent and utilities) should not exceed 30 percent of a household's income. The statewide program is available to residents of all New Jersey counties. Additional Section 8 Existing Housing programs are administered throughout the State by a number of municipal and county authorities. Assistance is provided to low, and very low-income households and individuals. For additional information, call (609) 292-9025. The Section 8 Homeownership Program is funded by the U.S. Department of Housing and Urban Development (HUD). Participants in the New Jersey Department of Community Affairs' (DCA) Section 8 Housing Choice Voucher Program are eligible for this program and could become homeowners provided they meet all Section 8 Homeownership Program eligibility requirements. Despite the confusion caused by calling it an exit tax, the law simply requires the seller to pay state tax in advance, calculated as follows: New Jersey withholds either 8.97% of the profit or 2% of the selling price, whichever is higher. This estimated tax is adjusted when the seller files a New Jersey tax return for the year of the sale. The seller must pay this tax prior to leaving the state, even if there is no gain from the sale. But the state takes all that into account once the year-end income tax is filed. So, for example, if you lost money on the sale of your house, and 2% tax was prepaid before you left the state, you would receive a full refund when you file your New Jersey state income tax. If you do realize a capital gain on the sale, it would be deducted from the estimated tax payment you have made when exiting and the remainder would be returned to you. For a two people names on the deed there is a $250,000 deduction for each one of them, for a total of $500,000 deduction. Jan 16, 2018 - Any amount that is taxable for federal purposes is taxable for New Jersey purposes. Single filers can qualify to exclude up to $250,000. Joint filers can qualify to exclude up to $500,000. This is true regardless of age, as long as you owned and lived in the residence for 2 of the 5 years prior to the sale. Best times are February through June, when people are looking to register their kids for school in the new school system. Worst times are July though August, when people are on vacations. Thanksgiving through Christmas, when people are celebrating holidays. The day of the week your check get delivered is based on this calendar. at least $32,582 and less than $42,582 joint income, if married. Getting your one time charge of $10 for your Senior Pass from the U.S. government when you turn 62 (or older) is a must-do because of how much money it can save you at over 2,000 federally managed recreation sites across the nation. Each town offer a Sewer and or Water discount for Senior / Disabled customers. You will have to call your town for more details. ♥ Have you ever gone shopping and when you went to get a cart, you discovered you don't have a quarter. ♥ You go to insert the quarter, and now you drop it, and it goes under the many other carts that you can't get at to get your quarter back. ♥ Never bring back your cart in the rain, cold or heat to get your quarter back !!! ♥ Never get frustrated again with these Forever Quarters ! ! ! ♥ ♥ ♥ You can have one on your main key ring, one on your spare key ring, or use as a Party Favors, or Stocking Stuffers. ♥ ♥ ♥ These make a great thank you gifts to family and friends, so they don't have to get frustrated anymore. Silver sneakers is a program that allows to Enjoy unlimited access to 10,000+ locations, where you can use equipment and take fitness classes. If you have Medicare part A & B and a approved supplemental carrier then you can go to a gym completely FREE. In New Jersey, as of 1-17 Blue Cross is not a participating supplemental carrier. participating supplemental carrier are: Eta, Armac,Clover,Humanna, United Health, and Wellcare. Call 1-888-423-4632 for more information. Disability Planner: What Can Cause Benefits To Stop? Two things can cause us to decide that you are no longer disabled and to stop your benefits. Your disability benefits will stop if you work at a level we consider "substantial." In 2015, average earnings of $1,090 or more per month ($1,820 or more per month if you are blind) are usually considered substantial. Your disability benefits also will stop if we decide that your medical condition has improved to the point that you are no longer disabled. You are responsible for promptly reporting any improvement in your condition, if you return to work, and certain other events as long as you are receiving disability benefits. The booklet we send you when your application is approved explains what you need to report to us. When you have a hard time going up and down stairs in your home. Companies offer reconditioned as well as reasonably cheap new stair chair lifts. Used Acorn Stair Lift 120 Battery Powered $1299. If you need a 3 position Lift Chair, look here. On new chairs, Medicare will pay for the mechanism, but not the chair. This guide was printed in 2011 and provides additional information than is provided in this webpage. If you’re eligible and approved for the TSA Pre✓® program you will be given a known traveler number “KTN” to use when making flight reservations. Participating airlines will print an indicator on your boarding pass. When you arrive at the airport, look for signs for the lanes. Screening for Passengers 75 and Older, you may leave on your shoes and light jacket during screening. The State of New Jersey created the Universal Service Fund (USF) program to help make natural gas and electric bill more affordable for low-income households. The goal of the USF program is to help ensure that income eligible New Jersey utility customers pay no more than 6% of their annual income for their natural gas and electric service combined. Households with income equal to or less than 175% of the Federal Poverty Level are income eligible. Q. How much money will I receive from USF? If you are found eligible for USF, you will receive a USF credit on your utility bill.. The amount of the credit is different for each eligible customer, depending on how much of your income you spend on energy. The USF benefit is designed to help you pay no more than the target amount of 3% on your natural gas bill alone and no more than the target amount of 3% on your electric bill alone (or, if you heat with electricity, no more than 6% of your income on electricity). The USF credit is capped at $1,800 for both electric and gas combined. Please Note: if you receive Food Stamps, your Food Stamp application is also your LIHEAP application and your USF application. Therefore, Food Stamp customers almost never need to complete the separate USF-LIHEAP application. Helps seniors, disabled residents and low income households weatherize their homes to improve heating system efficiency, conserve energy and decrease utility bills. The weatherization program can provide you with tools such as insulation, caulking, weather stripping and assistance to repair or replace windows, furnace/boiler, heat exchange or distributions systems. The program also provides for a new refrigerator. When someone dies, the task of notifying financial institutions and closing credit card accounts can easily be forgotten or pushed aside. Getting Power Wheelchairs, Scooters, Lift Chairs, And Wheelchair Cushions From Medicare. 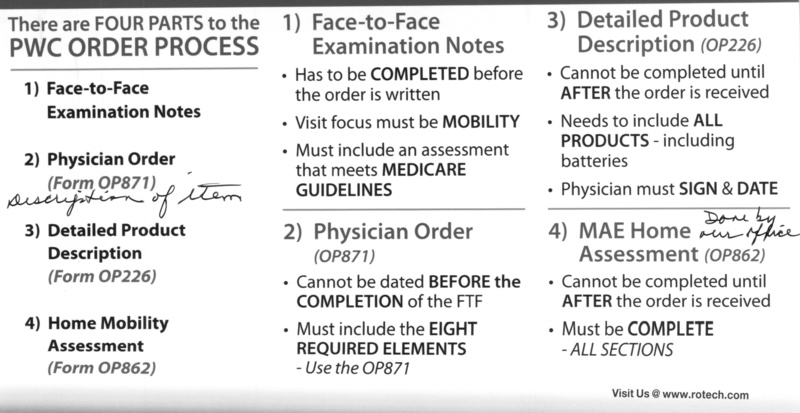 NOTE: It is next to impossible to get a motorized wheel chair under Medicare, because doctors don't have a clue how to or don't want to fill out the VERY SIMPLE forms. Even if they fill out the forms, they don't read the VERY - VERY - VERY SPECIFIC requirements specified in the forms. 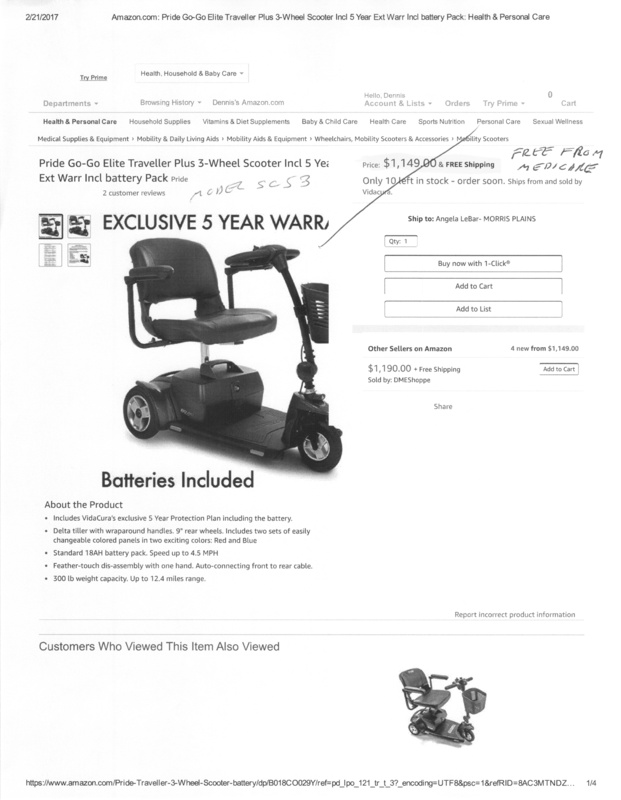 When you call a company that is authorized by the state to give you the motorized wheel chair, they tell you what the doctor wrote is not correct, specific enough or incomplete. If you need the motorized wheel chair, than you MUST find a doctor that, knows how to fill out the necessary forms properly, and has done so many times before, and that his or her patients have successfully received the chair FREE without any hassles by the chair vendor or the state. If not, you are wasting your time and money by going to a doctor that says they can fill out the paper work, when they can't or won't do it properly. We have been told by receptionists and nurses that supposedly asked the doctor if he or she can fill out the forms and have done so before, and they said yes. When you get to the doctors office and take x-rays, a MRI, and pay for an office visit, and when you question the doctor he or she tells you that they no idea what your talking about. We have been on this merry ground to many times, still unsuccessful in getting a chair that was desperately needed. You are entitled to a new power wheel chair or Scooter every 5 years. Medicare will only pay for your motorized scooter or wheelchair if you say it is needed and will only to be used in your home. You must get your chair from an approved competitive bidder in order for Medicare to cover the 80% of the scooter. If you have secondary coverage, it will pickup the balance of 20%, and your scooter or wheelchair should be FREE. If you don't have secondary insurance coverage, you can pay off the 20% balance in $41 payments. Beware !!! Some companies that supply the wheel chair, want you to pay them first, and then its your problem to get the money from Medicare. Keep in mind that the equipment must be necessary for you in the home. You can get only one piece of equipment at a time to address your mobility problem. If you have received a manual wheel chair from Medicare, you will not be eligible for a motorized scooter or wheel chair, until that 5 year period is over. The four part process for applying for the FREE Medicare scooter or wheelchair is made easier by a supplier near me. Courtesy of a supplier near me that supplied the literature to make getting your motorized scooter or wheelchair easier. Four part power wheel chair process. Form that the doctor fills out. This is the chair that this supplier provides. - Pride Go-Go Elite Traveller. Heaviest piece is 29 pounds and easily disassembles into 5 super lightweight pieces. The Veteran's Administration is somewhat more generous than Medicare when it comes to stair lifts or stair glides as they are referred to by the VA. Wheelchair bound veterans and those who cannot otherwise manage the stairs in their homes as a result of a service connected disability can have stair lifts paid for by VA health care. A home visit and a skills evaluation are both necessary prior to authorization. To a limited extent in Texas. Check for changes in the laws. In Which Countries Is Euthanasia Legal? Albania, Belgium, Finland, Holland, Luxembourg, Netherlands, Norway, Sweden, Switzerland, and Thailand. Embalming - There is no law requiring embalming !!! Cement box to put coffin in. - There is no law requiring a cement box !!! Some cemeteries are requiring the cement box because the dirt settles after the coffin decays, and they don't want the ground to look uneven. Total cost - In New Jersey, the typical funeral costs $12,000, according to the New Jersey State Funeral Directors Association - about the same as buying an economy car like a Hyundai. Remember this only a typical price, there are tons of extras they will try to add on to your bill. Cremation - No state or local law requires the use of a casket for cremation. A funeral home that offers cremations must tell you that alternative containers are available, and must make them available. They might be made of unfinished wood, pressed wood, fiberboard, or cardboard. Total cost - $600 and up. Promession is an ecologically-conscious method for disposing of human remains by freeze drying. It was invented and patented  in 1999 by the Swedish biologist Susanne Wiigh-Msak. Reducing the body of the deceased to a fine powder, thereby allowing subsequent decomposition to be aerobic. This is achieved by submerging the body in liquid nitrogen, making the remains so brittle that they shatter into a powder as the result of slight vibrations. The powder is then dried, reducing the deceased remains to around 30% of their original body weight. Removing and recycling metals within the powdered remains. Shallow-burying the powder in a biodegradable casket. In 6 to 12 months your biogradable casket will turn to compost and nourish the tree you had planted on top of it. The first facilities for promession-based funerals, known as Promatoria, are due to be ready in 2009. They will be located in Sweden, Germany, Great Britain, South Korea and South Africa. Currently not legal in the US. The volume of remains left by this procedure is about ten to twenty times that left by a cremation, but the advantages claimed include avoiding the release of pollutants into the atmosphere (for instance, mercury vapor from dental fillings) and the rapid degradation of the remains after the procedure (within 6 to 12 months). The procedure meets the requirements of new European Union pollution laws. Total cost - About the same as Cremation. The process of having cremated ash placed in live ammunition begins when you contact us. You tell us what type of hunting or shooting that the decedent practiced and we can help you decide what will best suit your needs. Feel free to email us, call us at (251) 213-1211 or (251) 232-4414 or complete the proposal form on our Buy Holy Smoke page, and we will gladly discuss the options (caliber, gauge, etc.) available to you. 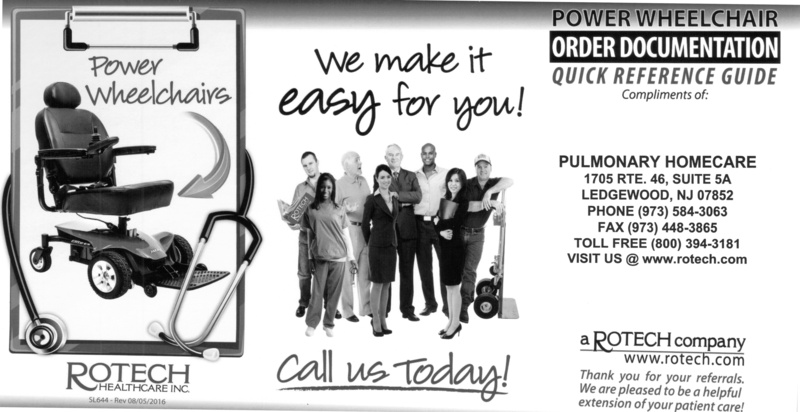 We are here to serve you and want to simplify the ordering process as much as possible. Example: 1 Pound of ash is enough to produce 260 shotshells (one case). Here's The Real Cost Of Dying In Debt. The funeral home cannot require you to be there when the casket is delivered to them." If you didn't find what your looking for on this webpage, then look at this 85 page file from the State of NJ.